When preparing the first Women Moving the Edge gathering, we relied on the template that Finn Voldtofte had distilled from the first Moving the Edge gathering, which included full exposure of the preparation conversations on the Internet, using circle practice to bring the design to its next level and inviting participants early on to fully step up to offering their unique contribution. Being in the hosting team to facilitate this experimental gathering, I was supported by my substantial experience from my women’s circle in Belgium and the principles and practices of the Art of Hosting Conversations that Matter. Searching through my files, it turns out that we had 20 conference calls before our first gathering, which took place just a year after the original Moving the Edge. As we would later come to recognise, as the hosting team we talked a lot about the pattern of holding back – as Tina had mentioned – and we wondered whether this was just us, or if we were seeing something like a feminine collective survival pattern. This theme of holding back was a major one in that first gathering. We also pondered together what would be the right format for women to gather. Would being in a circle enhance women’s tendency to seek harmony? Would we then become stuck? Just waiting for emergence to happen didn’t appeal to us. We realised already at that point that there is no real freedom without some boundaries. We would need some direction, leadership, guidance or purpose (or maybe a question). Later this would become another core pattern in preparing the gatherings: to collectively seek and sense into the guiding question for the next encounter. So central is this pattern of having a guiding question that we now take it as essential for any collective inquiry, alongside the use of circle practice. 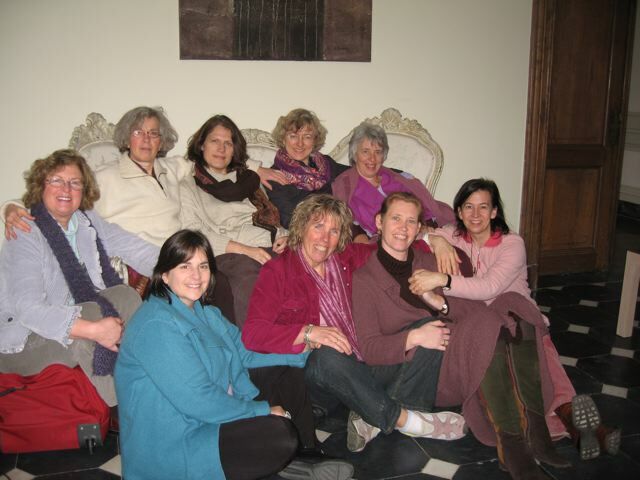 At a certain point (September 2006), we decided to assume a leadership role and, rather than convening a circle of friends, offer a gathering, hosted and facilitated by us. “We will guide the process in a way that women can come forward with their own leadership. We will create a container – the walls – and invite the women into that space; the balance between the masculine (some structure or container) and the feminine (openness – emergence).” (notes from the call of 21 September 2006). In that same call we decided not to rush or push ourselves, cancelling the original dates and postponing the gathering by two months. This marked the emergence of another pattern – discerning right timing – that would become core to our practice as our experiences unfolded and we learned to understand what was becoming manifest.